In what has become an annual occurrence, Page will be appearing at Britt Festival this summer in his hometown of Medford, Oregon. He’ll be taking part in Britt Festival’s Guitar Weekend Faculty Concert on June 23rd. Tickets are only $14 and children under 12 get in free. Atlanta Catholic High School St. Pius X has commissioned Page to write a piece for the St. Pius X Symphonic Band. Page is currently producing a record for Nashville band The Dead Deads. Release details coming soon. The Dead Deads Documentary Teaser from Triad Music LLC. on Vimeo. Page will be part of the faculty at this year’s Britt Festival Guitar Workshop in Jacksonville, Oregon. Each day will have two 90-minute sessions, each focusing on one genre and one jam session to explore what you learned with your fellow participants. Beginning and Intermediate tracks are available, as well as an All Access Pass, which allows participants to choose classes from either track each day. Also included for all participants is a special class on basic instrument maintenance and repairs, as well as a full faculty panel discussion. If you’re in the Santa Monica area, check out the Page Hamilton Quartet, featuring Tommy Lockett on bass and John Lewis on drums, performing with John Stowell on Thursday, February 5th, at Typhoon at the Santa Monica Airport. There will be two sets, 8:00pm and 9:30pm, with a $5 cover and table reservations available for dinner. Convergence is a new film for which Page has written and performed the score. Check out some great reviews of the film below. Page recently spoke with Examiner.com and Vents Magazine about his film score work, as well as Helmet and all other things Page Hamilton-related. Check out the Examiner interview here and the Vents interview here (page 38). 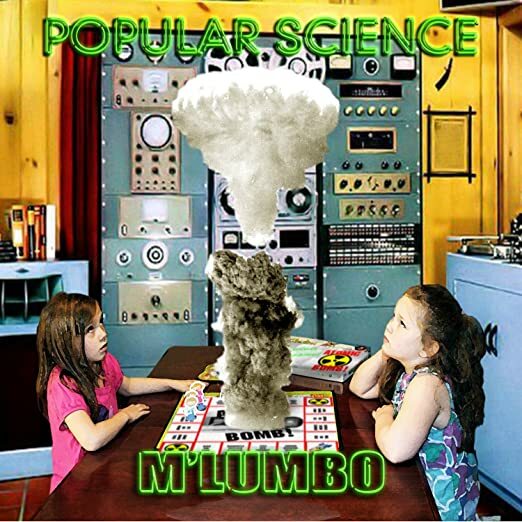 M’lumbo – Popular Science out now with special contributions by Page Hamilton. Page Hamilton’s new film score compilation, Page Hamilton Movie Music, Vol. 1, is now available digitally via Sumthing Else Music Works. It is available via iTunes, Amazon MP3 and Sumthing.com.